Wholesale price: $2,500.00 Why our prices are so low ? For sale, 18 kt lady's white gold ring set with a prong set cushion cut untreated natural pink to slightly purplish red sapphire (Ceylon) measuring 6.19 x 5.73 x 3.87 mm at 1.30 ct. The ring is set with 46 round brilliant cut diamonds with a tcw of .24 ct's clarity VS - Si - G - H color on both sides. All of our ring's are appraised by a independent certified GIA gemologist - please see gemology report presented by GIA Gem gemologist. GIA Color grade GIA slpR 4/4 Fancy Pink to light Purplish Red Sapphire. Please see both videos, first video taken under florescent lighting withe the second video taken under natural daylight. Beautiful 18kt white gold natural pink sapphire ring, this 1.30 ct cushion cut Ceylon sapphire carries a wonderful tone with excellent level of saturation helps create this wonderful soft pink hue with the GIA color grade of slpR 4/4. This stunning sapphire has being hand set by our master jeweler into one of a kind 18kt white gold & diamond ring set with split diamond ring shank accenting this sapphire perfectly with forty six round brilliant cut diamonds creates a wonderful pink sapphire engagement ring or a wonderful gift. Please contact us with any questions you have, we open 7 days a week & always happy to help ref sku 2645 at 727 797 0007. This is a lovely untreated natural pink cushion cut sapphire, this sapphire has a rich pink to pinkish-light purplish color which can be seen in both the pictures and video. The stone sits perfectly into this one of a kind 18 kt white gold and diamond setting with double split diamond band rising up to the sapphire which is perfectly set by four prong's in this perfect natural sapphire & diamond ring. This setting is unique to Sapphire Ring Co, whether you are looking for a one of a kind engagement ring to a stunning cocktail ring this is a wonderful rare untreated pink cushion cut sapphire set in a perfect 18 kt white gold and diamond ring. 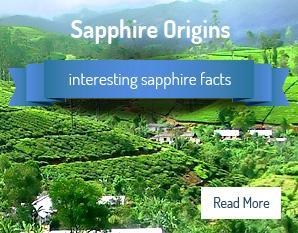 Please contact us with any questions on this or any of our natural sapphire rings.